Phew! This DIY is not for the faint hearted. Shredding a T-Shirt takes a while. Don’t say I didn’t warn you. You also want a T-shirt that doesn’t have a slub in the yarn like mine. Why? Have a look – here – and you will see that a slub is a twist or knot in the yarn that creates a special effect. It also makes it a million times harder to shred as the knots get stuck and are a hellava job to unravel. Last thing I thought of when I decided to shred this T-Shirt. I tried to shred the T-shirt from the bottom and work my way up but I gave up and made snips all over the T-Shirt which I shredded up and down. To shred a rib knit item, you need a raw edge. So before you do anything, cut the commercial hem from the T-Shirt. I used a pin to pick the threads loose. 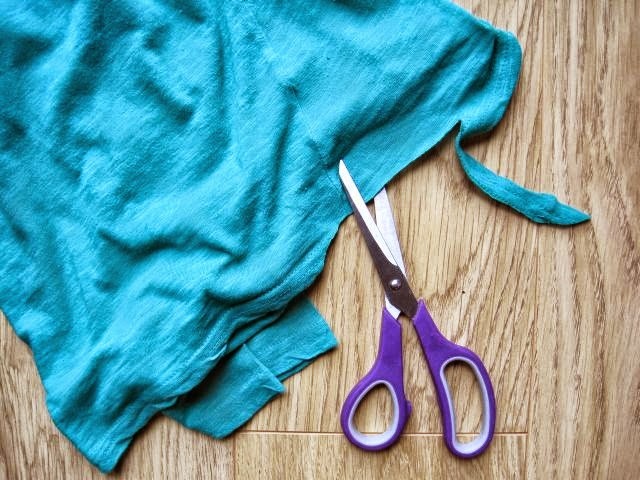 The wider the area you can unravel the easier it is to shred your T-Shirt. Then you have to pull and stretch the fabric so the loose stitches start to run. Much like getting a hole in your pantyhose. I used a pin to pick at it and keep it going. It takes a while but it looks lovely in this lightweight T-Shirt. 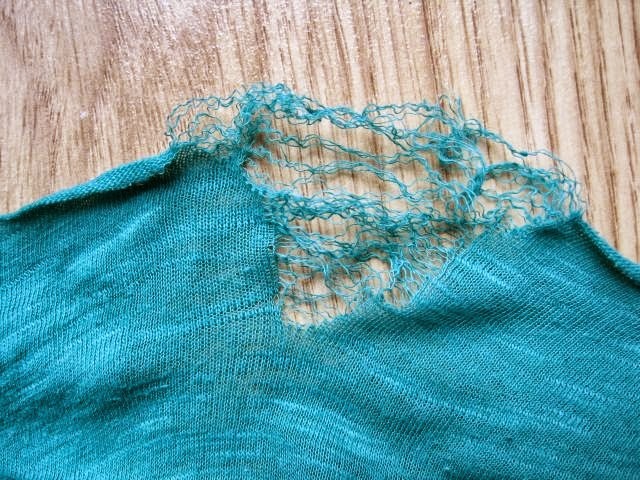 I plan to wear a contrasting colour tank top underneath the shredded tee so the coloured tank top peeks through the shreds. 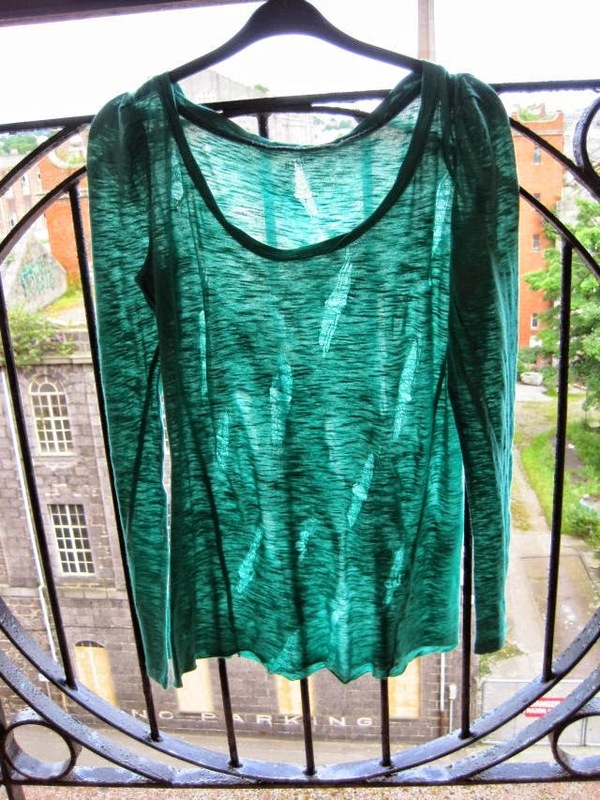 Here is another take on a shredded tee – click here to read. Visit the Greenie Galleries for more tutorials and ideas to revamp your wardrobe. Find it at the top of this page. And you can share your up cycled items on the Greenie facebook page or just ‘like’ the page by finding the link at the top right of this page.